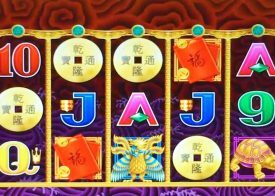 If you’re looking for a little bit more than simply playing a pokie with fixed lines, this All Ways pokie could very well be the one for you. Offering a simple, yet high octane playing style, you’ll have no problems getting the big wins. There are wilds and Avalanche Multipliers, which could see you being awarded 10x a win amount. 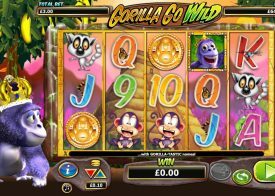 There are no free spins on this pokie, however we doubt you’ll miss them as the game has tons of additional features in the base game. Should you not like fast action gaming, why not take a look at the various other games on offer from the guys at NetEnt. As this pokie offers a simple playing structure, you’ll find that veterans and new players can enjoy it without becoming confused as to what’s happening on the reels! 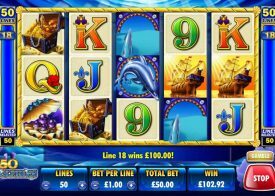 Do be sure to give this highly fun pokie some play time, as we are sure you’ll love it as much as we did when putting it through its paces. Playing Pokie games that have been designed by NetEnt is going to see you having an absolute ball, and as every single one of their pokies is completely random you will never be short of winning opportunities! Keep in mind though that with so many pokies available you will need to spend some time finding out just which ones appeal to you the most! To give you the chance to find out what every single NetEnt Pokie has to offer you we have put together plenty of reviews of all of their most played and most popular pokie machines, and as you can see from above we have also got plenty of video clips of each of them being played too, so make sure you watch as many of those video in our reviews as you can do! 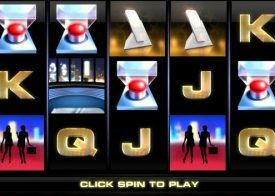 There are often several questions that Pokie players will have about any new Pokie game they have not played or even seen before, and with that in mind here are some to the most asked questions about this Pyramid Pokie which is definitely one of NetEnt’s great playing Pokie games you really will enjoy playing online! Is an auto play setting on offer on this pokie? On the play panel on every single NetEnt Pokie machine you will find a range of different buttons that will allow you to configure the pokies to play in a way you want to play them off by and one of the settings is an auto play setting. You are going to be able to very easily set any number of spins and on any stake level to automatically play off for you when you make use of the auto play setting. Can I play the Pyramid Pokie for Free? As you can play the Pyramid Pokie for free or for real money at any time you will always be able to test it out if you so desire, keep in mind that whilst we do have a free play version of this Pokie available from our website if you wish to play it for real money you will need to visit any of our featured Australian casino sites. Can I play this Pokie machine in a land based casino? You will not be able to play this Pokie machine in a land based casino in Australia for sadly the only playing environment that NetEnt design their Pokie games to be played in is at an online or even a mobile casino site and as such you will never find this Pokie game on a land based casinos gaming floor! 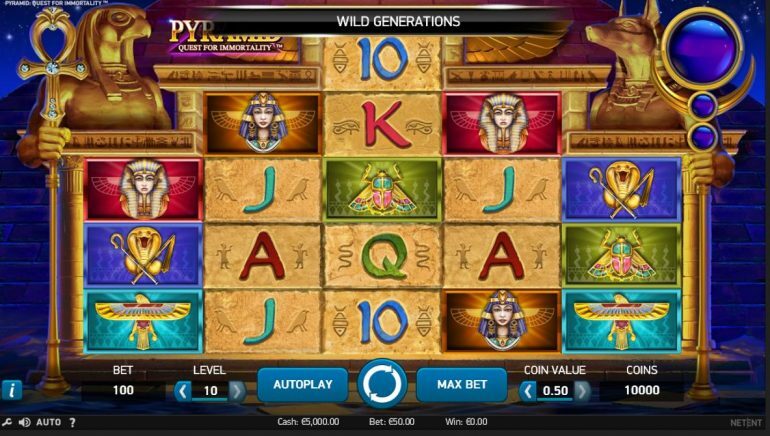 The Pyramid Pokie game is a much sought after NetEnt designed and supplied pokie machine and as it also does boast a higher than average payout percentage you should always see lots of winning combinations spinning in too and the RTP of this pokie has been set very high at an awe inspiring 96.48%.